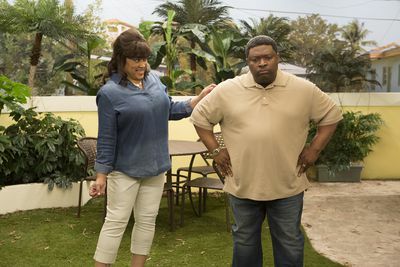 In Tyler Perry’s new comedy series “The Paynes,” Cassi Davis and LaVan Davis reprise their roles as Ella and Curtis Payne from the hit series “House of Payne.” As Curtis and Ella are enjoying their retirement, a death in the family takes them on the road to Florida, where Curtis is roped into a real estate deal that will tumble their lives like clothes in a dryer – with plenty of laughs and life lessons along the way. 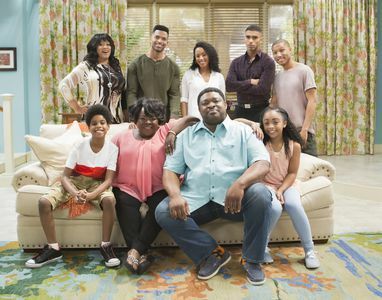 “The Paynes” also stars Emmy-winner Jackée Harry, Stephanie Charles, Markice Moore, JD McCrary, Sanai Victoria and Anthony O. Dalton. 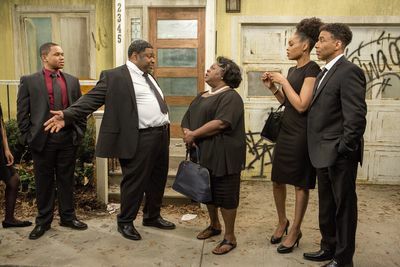 Curtis (LaVan Davis) and the rest of the Payne family take a road trip to Florida where Ella (Cassi Davis) receives a stunning surprise. The series also stars Emmy-winner Jackée Harry as JoAnn. Ella (Cassi Davis) is fuming after Curtis (LaVan Davis) makes a life-­changing decision without her input. Meanwhile, Curtis discovers that he has been duped into a bad investment. The series also stars Emmy-winner Jackée Harry as JoAnn. Curtis (LaVan Davis) is out for blood after he realizes that he has been swindled. Later, Ella (Cassi Davis) has a change of heart after visiting the local church and she meets a beautiful young woman in need, Nyla (Stephanie Charles). The series also stars Emmy-winner Jackée Harry as JoAnn. The Paynes begin to settle into their new life with the help of their cousins. Ella (Cassi Davis) is concerned about Nyla's (Stephanie Charles) disappearance. The series also stars Emmy-winner Jackée Harry as JoAnn.